Put Money Into Your Pocket Now! Get Cash For Your Home. We are glad you have taken the time to check out our website. To put it simply, EMDOTSCOTT buys houses, rehabs them and sends them back out for the world to enjoy. If you have a home that you would like to sell please contact us. We can buy your home as-is, no cleaning or fixing up required, save money and put money in your pocket now. Give us a general description of the property you want to sell. Simple, fast and free process. We will contact you immediately to set up an appointment if your described home meets our buying criteria. You will be presented with a fair no obligation offer for your home. Quick Closing. Cash in Your Hands. After you accept our offer we will close within 7 to 10 business days at a local title company. Which means money in your hand in less than a week! Fill out the form to start the process to get your cash offer immediately. Someone will contact you in order to set up a time to see your home if it meets our buying criteria. 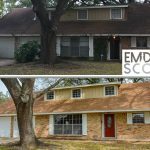 EMDOTSCOTT seeks to acquire distressed single family homes. Our goal is to rehabilitate these properties for the next family to call home. In doing this we are able to change a neighborhood a small amount at a time. Everyone deserves a nice and affordable place to live. As with any rehabilitation, the goal is to make the home better than what it was. The best looking home on the block is the goal for all EMDOTSCOTT rehabs. In doing this the revitalization of the neighborhood as a whole becomes evident. The ultimate goal of EMDOTSCOTT is to completely revitalize the area in which we acquire homes. Focusing on specific neighborhoods, we will attempt to change the negative direction the neighborhood is heading into a more positive direction for the people who live in the area.